Cape Town has it all. Watched over by the iconic Table Mountain, it has more beaches, hiking trails, surf breaks, and fishing spots than any of its four million residents could possibly need—all within city limits. It’s a thriving urban environment which boasts South Africa’s best restaurants, bars, and clothing boutiques. With around fifty roasteries in the city itself, it’s also the epicenter of a nascent coffee revolution. Before 2006, “there was no decent coffee in Cape Town. Everyone believed that something good had to come from somewhere else. 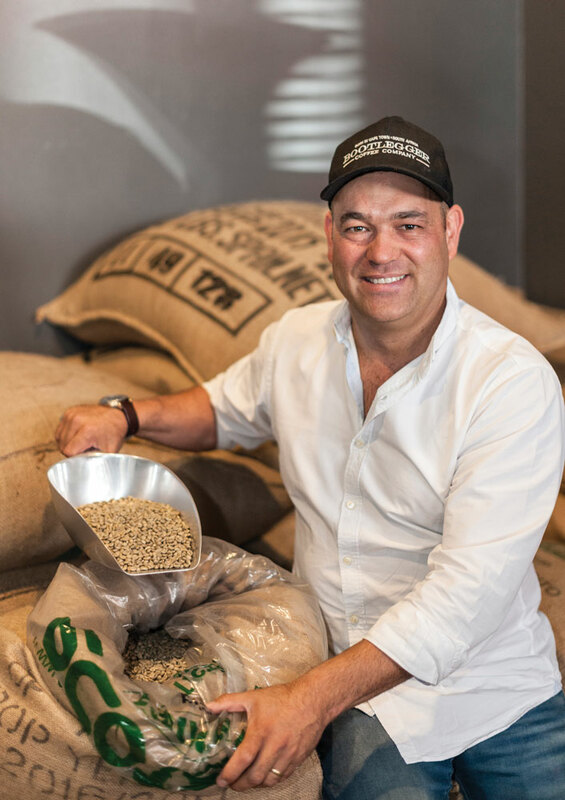 Posh people were proudly drinking brand name coffee that had spent months getting out here on a ship,” Joel Singer, cofounder of Origin Coffee Roasting says, reminiscing with a laugh. Singer grew up in Canada, but didn’t develop an appreciation for artisanal food and beverage until college, during a year abroad in France. He fell in love with the country’s commitment to quality food and drink. “The French would get excited about this one plum that only grows in one little town and is only ripe for one week every year,” he says. Singer eventually found himself in Cape Town with a young family and no fixed agenda. He teamed up with David Donde to launch Origin Coffee Roasting. When they met, Donde was operating a hotel, where he prepared Singer an espresso—what Singer calls the first decent espresso he’d had in South Africa. As their friendship developed over their shared love of coffee, food, and wine, plans for the roasting company began to coalesce. Singer and Donde launched Origin knowing very little about coffee, and even less about how to roast it. Donde attributes his barista skills to “brute force methods”—and lots of milk sacrificed in the name of latte art practice. They began to experiment on a five-kilogram roaster, testing roast profiles and various origins to find what worked. But even as the coffee started tasting good, getting wholesale customers on board presented a new wave of challenges. “We had to convince everyone—consumers, restaurants, hotels—that they didn’t have a clue” Singer says. Recognizing the need for education led Singer and Donde to start big—with a roastery, a barista academy, and a café. Customers would pass by the roaster as they walked in the door, exposing them to more of the process than the Cape Town community was accustomed to. “I was the first person you’d speak to when you came in,” Singer says. At the time, their approach was groundbreaking and helped the brand gain traction and a loyal customer base. 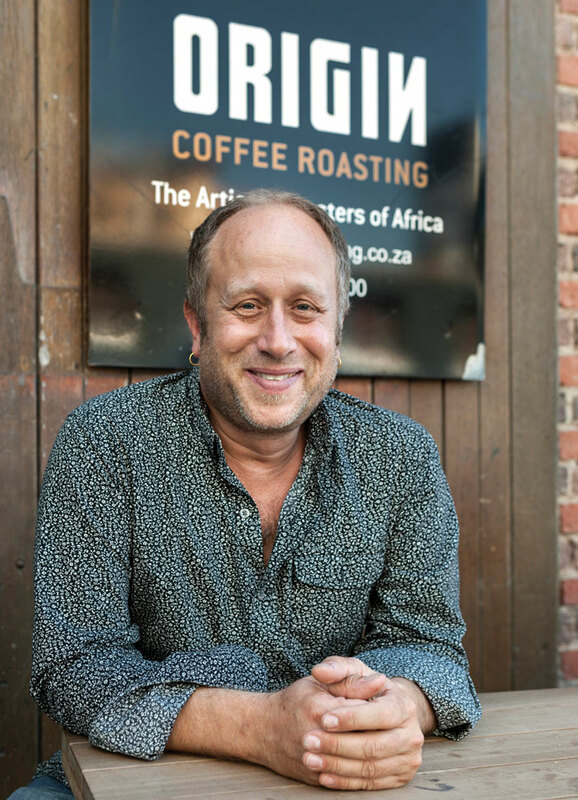 Now, eleven years later, Origin is still at the cutting edge of everything coffee in Cape Town. 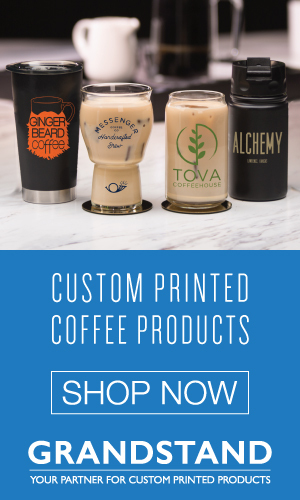 They roast about fifty different coffees every year and on any given day, patrons can drink twelve of them at their alternative brewing methods bar. 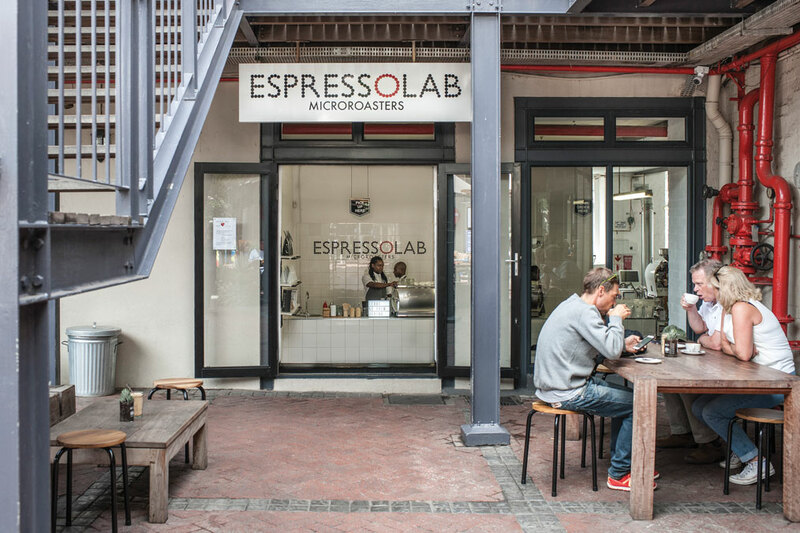 They have locations in both Cape Town and Johannesburg and their coffee is served at many independent outlets nationwide. Origin also helped set up the Specialty Coffee Association of South Africa, and has had four national barista champions over the years. 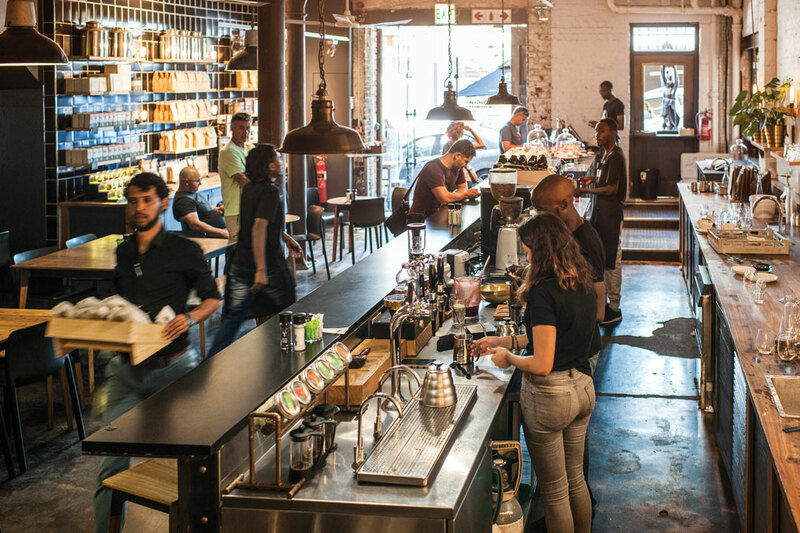 Many of the big players in the South African coffee scene have a stint at Origin on their résumés—at last count, they had trained 2,500 baristas. One of these Origin alumni is Judd Francis, the burly, bearded Kiwi who co-owns Deluxe Coffeeworks. 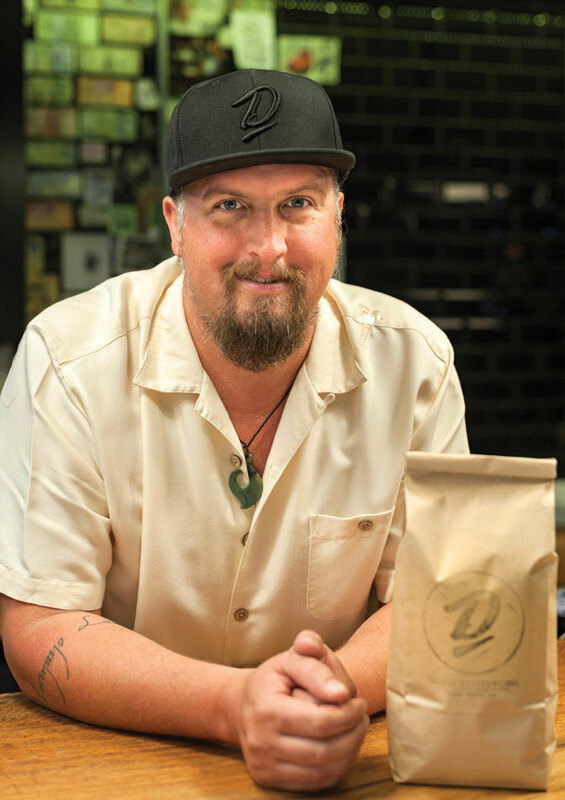 He grew up in Wellington, the coffee center of New Zealand, and began working in cafés at age sixteen. “After school I got a job in a roastery and then, like all Kiwis, I went traveling. 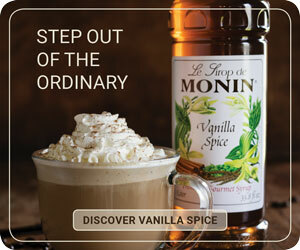 And everywhere I went, I ended up behind the coffee machine,” Francis says. 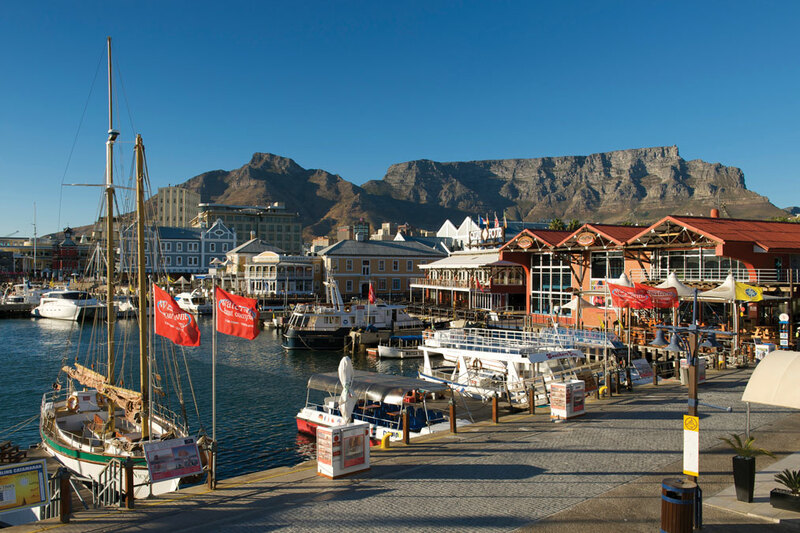 Early morning view of the waterfront in Cape Town with Table Mountain in the background. They started roasting in Wessel’s backyard, and within months they’d opened their first shop, a tiny spot in the center of town. “After about two years it got pretty intense,” Francis says. 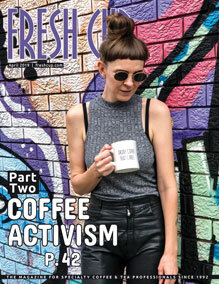 “We were doing two tons a month on a five-kilogram roaster, all in a 190-square-foot space that also served coffee.” At that point they moved to their roasting operation to its current location and bought a fifteen-kilogram Giesen. Deluxe Coffeeworks co-owner Judd Francis. 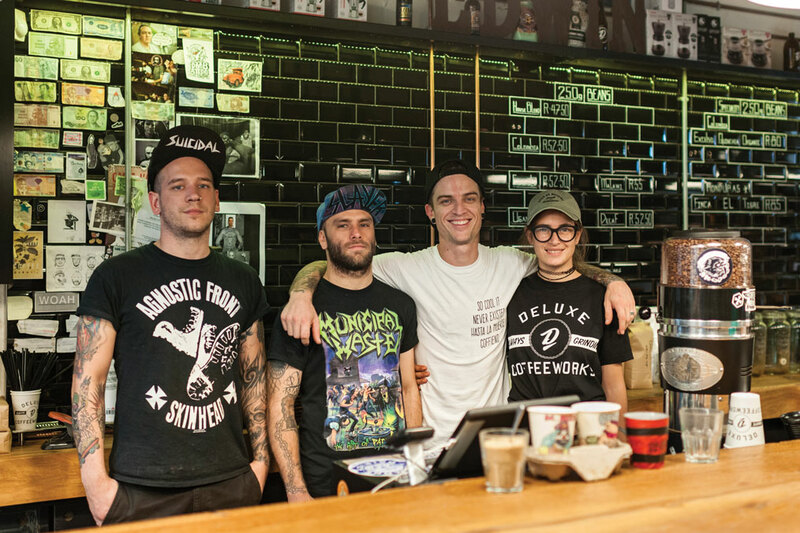 Deluxe’s core business has always been wholesaling coffee but they’ve opened a surprising number of cafés along the way. “We just keep getting offered these amazing spaces,” Francis explains. “It seems stupid to say no.” That said, they keep their retail outlets surprisingly simple: no food, no Wi-Fi—just coffee. The inked baristas of Deluxe Coffeeworks. With ten branches in the city and counting, it’s hard to believe Bootlegger Coffee Company opened its first outlet less than four years ago. Even more amazing is the fact CEO Pieter Bloem hasn’t had to lean on any external investment to achieve this meteoric rise. Bloem first got into the service industry when he bought and ran a very popular pizza franchise. At about the same time, his wife opened a small coffee shop, but soon she had two, then three shops. Bootlegger CEO Pieter Bloem started roasting four years ago. “I was sick of working for someone else and I saw an opportunity. Coffee was my wife’s main commodity, so it made financial sense to roast it ourselves,” he says. 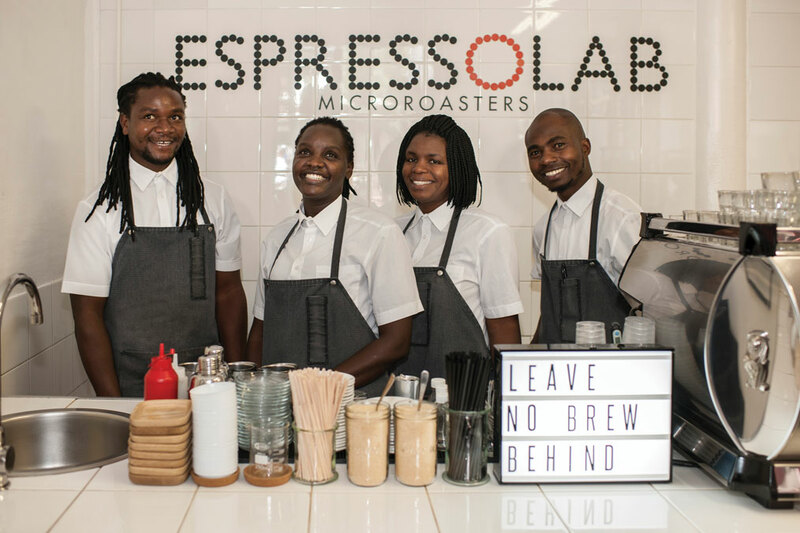 “And it helped that I’ve always been a coffee addict.” Bloem and his partners started small, roasting their coffee at a small bakery they owned several hours from Cape Town. These days, Bootlegger stores are open from 6 a.m. to midnight every day, and they serve up innovative pastries, breakfasts, lunches, and dinners—including the Ice-ssant, a croissant filled with soft-serve ice cream, and the recently featured Scram-bowl, egg scramble bowls filled with sausage, cheese, and onion. 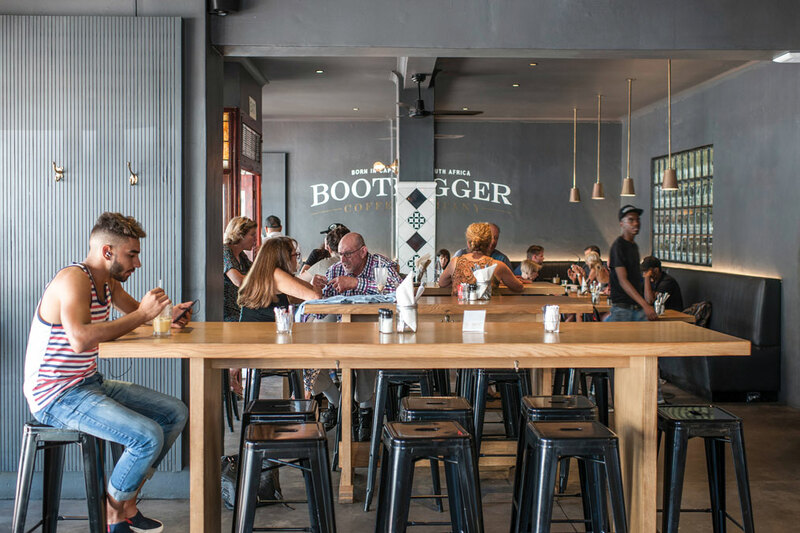 Bootlegger also boasts a full wine list and bar to accompany their signature coffees. Bootlegger will have four more Cape Town stores by the end of the year as well as one in London, England. They are looking at expanding their footprint to Johannesburg and Durban, South Africa, and plan to franchise the brand into other African markets. “Whatever happens, we’ll always maintain 100 percent control of the Cape Town stores,” Bloem says. The husband-and-wife team behind Espresso Lab Microroasters, Renato Correia and Helene Vaerlien, focus on quality in smaller quantities. “It’s not that we don’t want to grow, but quality has always been our main focus, and this is easier to achieve in small quantities,” Vaerlien explains. 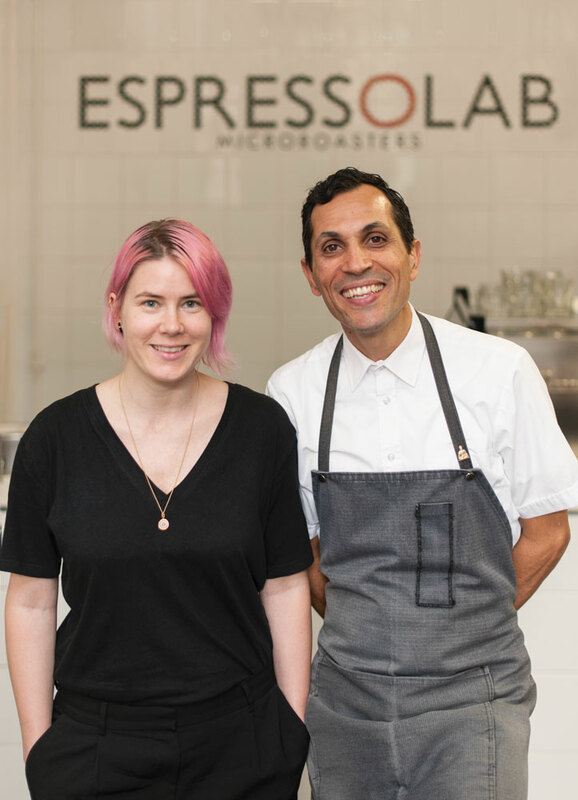 Espresso Lab co-owners Helene Vaerlien and Renato Correia. Vaerlien’s roots are in Sweden, and Espresso Lab is undeniably inspired by Nordic coffee culture, among other influences. Correia worked at an Italian-owned café in Johannesburg in the eighties, and both he and Vaerlien spent years traveling the world, experiencing different coffee cultures. “At first we wanted to open a café,” says Renato, “But then we realized that to have full control, we had to roast our own.” From day one, they have been both a café and a roastery and they have never served any food. “We’d rather up-sell coffee, the one thing we’re passionate about,” Correia explains. But Vaerlien and Correia had chosen their location carefully: being next-door to Cape Town’s busiest outdoor market meant that they could pay the rent based on Saturday trade alone. This allowed them to forego spending money on marketing, affording them more funds to buy top-quality coffee and equipment. Vaerlien says quality equipment allows them to share their techniques and brewing protocols and enables them to serve customers a better, more interesting product. 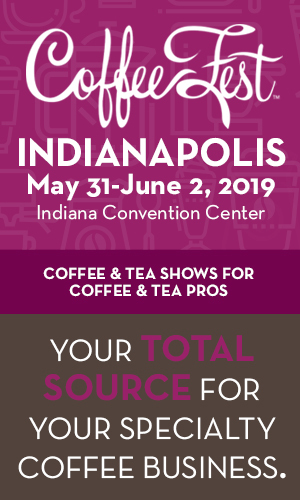 Espresso drinks are made using La Marzocco GB5s and Mazzer Robur grinders, while filter coffees are made using a Marco SP9 hot water tower and a Mahlkönig EK 43. “Most of the baristas on our staff already have basic barista skills when they start here, such as basic espresso extraction and milk aeration technique, so our ongoing training is more about refining their sensory skills, learning about the coffees we serve, and customer service,” Vaerlien says. —Nick Dall is a world-traveling journalist and copywriter who is rediscovering his hometown of Cape Town.